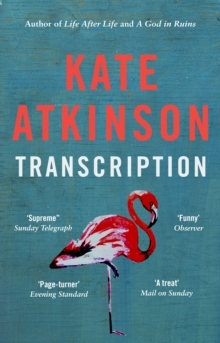 The magnificent new novel by bestselling award-winning Kate AtkinsonIn 1940, eighteen-year old Juliet Armstrong is reluctantly recruited into the world of espionage. Sent to an obscure department of MI5 tasked with monitoring the comings and goings of British Fascist sympathizers, she discovers the work to be by turns both tedious and terrifying. But after the war has ended, she presumes the events of those years have been relegated to the past for ever.